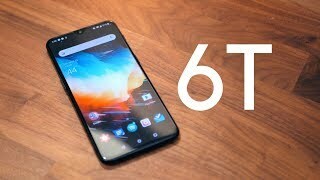 It hasn’t been too long since OnePlus released the OnePlus 6. However, the company has already announced an event where they will launch the improved OnePlus 6T officially. As usual, we have already learned about this upcoming phone via multiple leaks and the rumor mill. 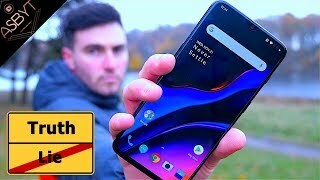 To find out what this phone has in store and the OnePlus 6T South Africa price, continue reading. Looks like OnePlus is trying to attract both notch lovers and haters by keeping a teardrop notch in the OnePlus 6T’s display instead of keeping the same big notch we saw in the OnePlus 6. Although the OnePlus 6T is not officially here yet and we are waiting for the OnePlus 6T release date South Africa to confirm things, we have seen some leaked pictures confirming the teardrop notch. It will be a 6.4-inch screen showing 2340 x 1080 pixels resolution, 19.5:9 aspect ratio and 403ppi of pixel density. There won’t be any IP rating which means it won’t be officially water resistant. From what we have seen in the leaked pictures, it will have glass back and a frosted finish version as well. It will be thicker than the OnePlus 6 which is slightly surprising. 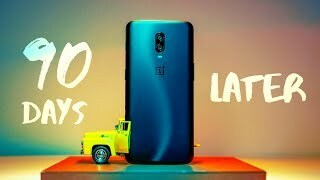 We are not hoping to see any major change in the camera as the OnePlus 6 was released just less than 5 months ago. However, there will be some changes as the new phone will have one 12-megapixel sensor with dual aperture: f/1.5-2.4 aperture instead of a 16-megapixel sensor. The other sensor will be a 20-megapixel one with f/2.6 aperture. Users will be able to capture 720p videos at 480fps. As for the front camera, it will get a major boost and will be a 25-megapixel one with f/2.0 aperture. For those of you who are in the market for a phone with great camera, there is the Huawei Mate 20 Pro and Google Pixel 3 you can check out. 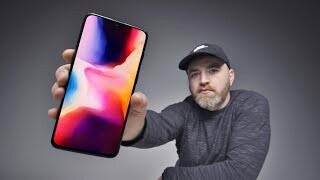 However, these phones are quite expensive compared to the OnePlus 6T South Africa price. Almost all the high-end and upper mid-range phones are packing the latest Qualcomm Snapdragon 845 processor and the OnePlus 6T won’t be any different. This processor will be paired with 8GB of RAM and users will get 128GB built-in storage. One of the major welcoming changes is the change in battery as the OnePlus 6T will be powered by a 3700mAh battery with the same Dash Charge support. The fingerprint sensor has been placed under display which is one of the reasons for the OnePlus 6T to be thicker than the OnePlus 6. There are some rumors about this fingerprint sensor to be an optical one and it won’t be as secure or accurate as the ultrasonic alternative. 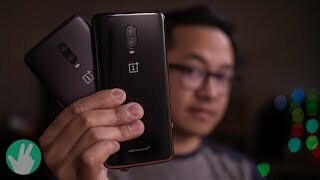 However, we will have to wait for the OnePlus 6T release date South Africa to find out more. Some of the other notable features include: microSD card slot, Android 8.1 Oreo OS, LED flash, Bluetooth 5.0 and NFC. There is the Xiaomi Pocophone F1 and Xiaomi Redmi Note 5 if you are in the market for a good phone at a great price. The OnePlus 6T will be available for R 8800 and will be slightly more expensive than the previous OnePlus phones. 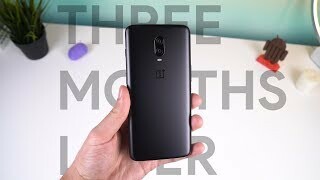 The OnePlus 6T release date South Africa can be expected sometimes after October 30, 2018. As most of this information are based on rumors, we will be able to confirm this information after its official announcement as well. 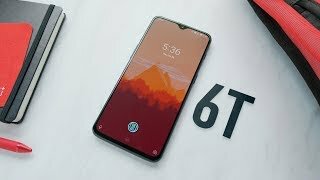 The 6t Mobile Phone is manufactured by ONEPLUS and was added around November 2018 and is part of the OnePlus 6T series. This version of the Mobile Phone comes in Color : Black , Capacity : 256 GB , Display Size : 6.41 Inch , Sim Cards Slots : Dual Sim , Special Features : Touch Screen , Device RAM : 8 GB. The model comes in 10 other variations including combination of 256 GB, 128 GB Capacity , Black Color , 8 GB Device RAM , 6.41 Inch Display Size , Dual Sim, Single Sim Cards Slots , Touch Screen Special Features. The best price for the OnePlus 6T in South Africa is R 14495 sold at Zeek Online and available with free shipping and delivery within 1-2 business days.